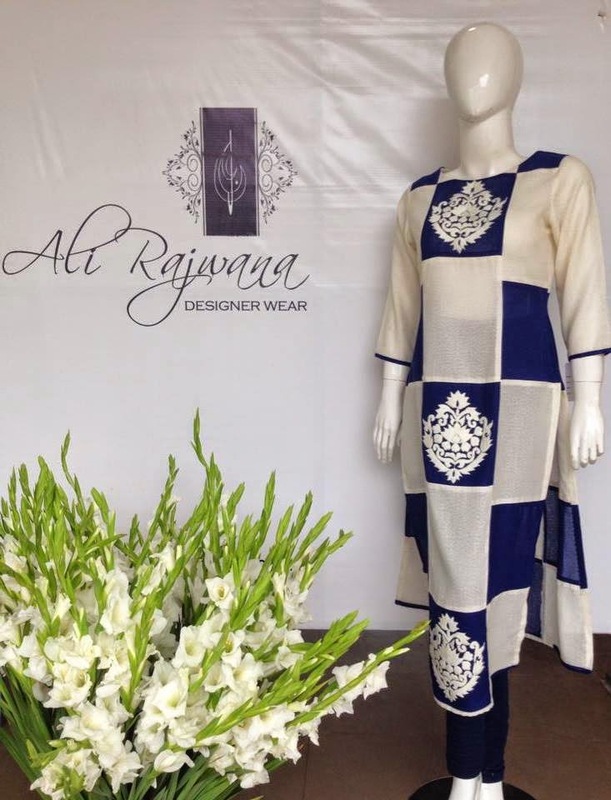 Fashion Designer Ali Rajwana use awesome and light colors to enhanced the beauty of these summer dresses. 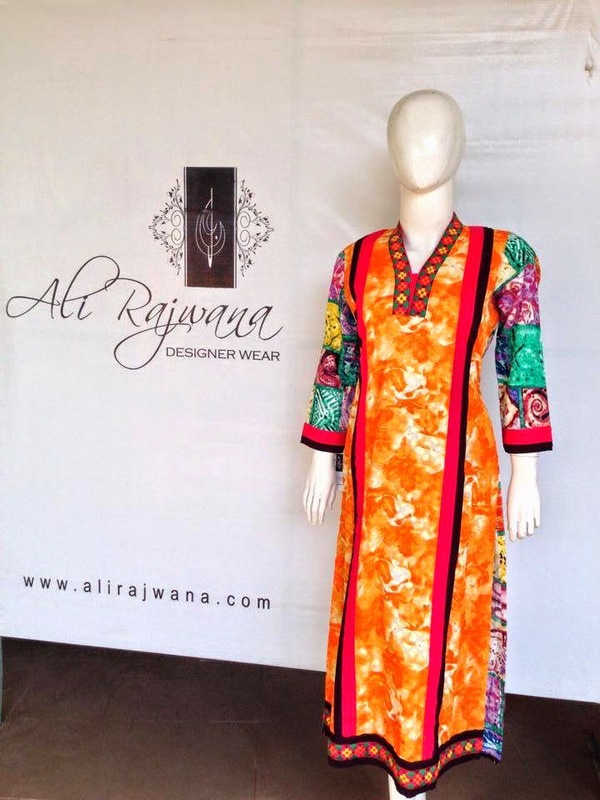 Single color lawn shirts and printed shaded lawn shirts both can be seen in this collection 2014 for women. These ready-to-wear charming ready to wear clothing you can wear in parties, weddings and formal occasions as well. These shirts are exclusively nourished with intricate embroidery, thread work, ralli art work, appliqué work and laces work. 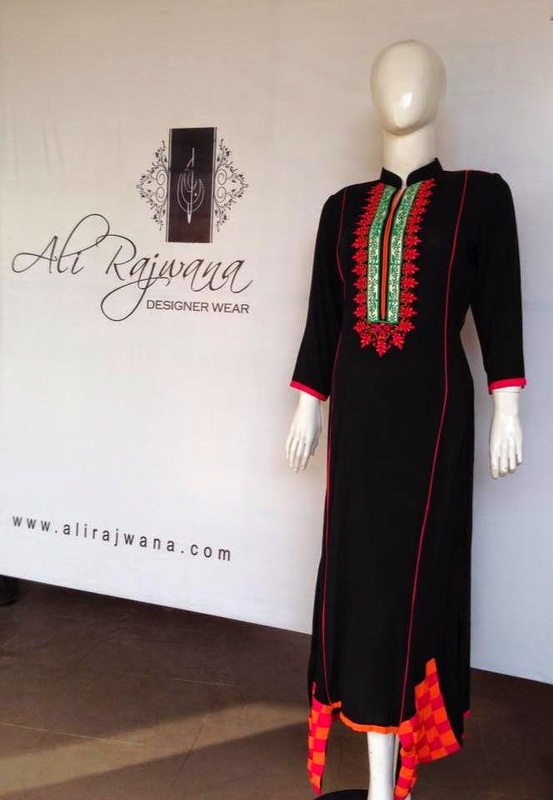 Let’s have a closer look on Ali Rajwana Designer Collection 2014-2015 with price.